Childhood Obesity is not the only problem that parents and authorities have to grapple with. Obesity overall has largely grown to epidemic proportions across the globe. This is despite the fact that cases of obesity and being overweight used to be quite low in developing countries compared to other continents. The word epidemic is normally used for a disease that is contagious and fast spreading. However, the proportion of the population that is obese has more than tripled in the European and Western countries in the last 25 years, astonishingly. Around two thirds of these populations are obese or overweight. At this rate, many of us will agree with studies that predict obesity to surpass smoking and become the number one cause of premature deaths. The rise in obesity has been so rapid to the extent that there may be a possibility of it being accepted as being 'normal'. Information from the WHO (World Health Organization) that will make any parent loose sleep is that "the world will see a one-third increase in the loss of life as a result of overweight and obesity over the next 20 years, with the number of global deaths rising from three million to five million each year." Childhood obesity is a condition where your child's weight gain has got to the point where it poses a serious threat to his/her health and or well-being. Determining obesity directly is difficult. Its diagnosis is based on Body Mass Index (BMI). This is acceptable for children who are two years and above. BMI definitions for children and adolescents are age and gender specific in order to accommodate growth patterns. In relation to children, the term 'overweight' is used more often as it is less stigmatizing. The Centers for Disease Control and Prevention (CDC) classify children as 'overweight' if they are above the 95th percentile for their age and gender and being "at risk of becoming overweight" if they are between the 85th and 95th percentile. Not only is obesity in childhood your problem as a parent it is also now considered a public health concern due to it's high prevalence and the many adverse health effects it brings along with it. 1) Dietary- The types of food and beverages that children consume have a great effect on their health. Fast food consumption, sugar-laden soft drinks, calorie-rich drinks and foods being readily available to children may also contribute to obese kids. 2) Sedentary- Today's generation of kids have become accustomed to sitting a great deal. They are either on computers on the internet or watching television programs or playing TV games or computer games or just sitting and eating. There is very little or no exercise going on. 3) Genetics- There are some people who are more susceptible to obesity than others and this is in their genes. So children born to families with this kind of genetic code may be prone to obesity. 4) Home environment- What happens in the home is critical for children as they grow up because this is where habits are created and picked up. So if there are poor eating habits and little or no exercise at all in the home, this has a negative impact on the child and may contribute to them being obese. 5) Information and choice- Information and education are clearly vital in making healthy choices about what and how much to eat. 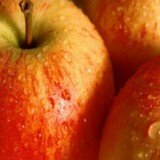 Although recommendations concerning eating healthy have been made in the past years, people are not adhering to them. Childhood obesity facts have shown that obesity in children brings along with it several other problems. The first to occur in overweight kids are emotional, social and psychological challenges. These include stigmatization, discrimination, prejudice. Research links obesity with self-blame, social rejection by both peers and adults. Low self-esteem, low body image and depression are also dangers of obesity. The other serious problems which can be offset by obesity in children and are life-threatening include type 2 diabetes with adult onset, high blood-pressure, heart disease, sleep problems or sleep apnea, cancer of the colon, osteoarthritis and back pain. Some of the disorders caused by obesity in childhood include eating disorders such as anorexia, bulimia. Learn more in detail about the possible obesity dangers in the article dangers of childhood obesity. A 2008 study has shown that obese kids have carotid arteries which have prematurely aged by as much as 30 years, as well as abnormal levels of cholesterol. Carotid arteries are two large arteries, one on each side of the brain, that carry blood to the head then divide into an external branch, supplying the neck, face, and other external parts, and internal branch supplying the brain, eye, and other internal organs. This can be divided into two sub-headings, Nutritional solutions and Physical Inactivity solutions. In the first instance, the following may be implemented to assist parents and those who care for children in the prevention of childhood obesity. Food labeling, which will help people make the right choices, food advertising and promotion, food pricing, food composition and improving the food served in schools. In the latter sub-heading, organized and recreational activity, active family lifestyles and strategic direction in governments will also be ideal. The media can also play a good role by showing more interactive television programs which engage kids and cause them to be active. You may read in detail obesity prevention in kids including different strategies and what parents can do at home. One of the most serious public health concerns in America today is childhood obesity. In the last 25 years, the prevalence of overweight children and adolescents has tripled, reaching 17.1 percent in 2003-2004. It is predicted that one in three American children will eventually become diabetic due to obesity in childhood. It is occurring in both boys and girls, across all the states and socioeconomic lines, and among all racial and ethnic groups, though specific sub-groups including Hispanics, African Americans, and Native Americans are disproportionately affected. 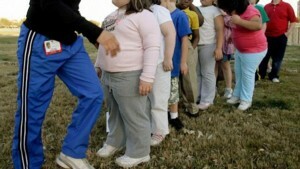 In just twenty years, the number of children and adolescents in America who are either overweight or obese has tripled. The recent rise in obese kids is due largely to complex changes occurring in the social and physical environments of children. Obese kids in America is a bigger problem than many households realize. Read more in the article childhood obesity in America.